Octane is an orange banded mosaic with red variant background, which fires very dark pink. Most all mosaics out there are striped based mosaics, it is very unusual to see a banded mosaic. This stunning and unique girl was the only baby that came from this pairing. It was Tefnut's first season, and all eggs were infertile/bad except for one. 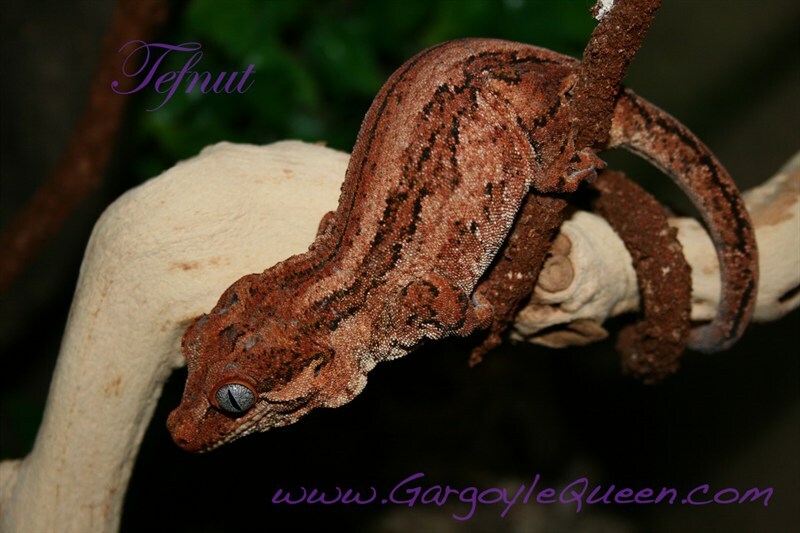 Tefnut was sold at the end of the season prior to this baby hatching out and now produces normally. She has been a slow grower, showing zero interest in insects. Can't wait to pair her up to my male Shu in 2017.